What is white salt? 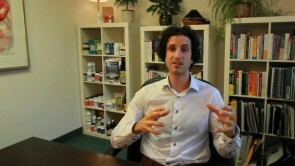 Clinical Nutritionist Josh Gitalis www.joshgitalis.com describes the differences between table salt and sea salt. Table salt has only two minerals Sodium and Chloride, which are put together under a very high temperature to which various agents are added to make it white. Table salt is found in high concentration in many processed foods and can elevate blood pressure. Sea Salt is dehydrated sea water with over 70 trace minerals and positive health benefits such as a regulating effect on blood pressure.